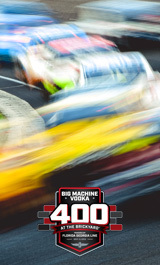 Fans of music and racing also can take advantage of new, money-saving ticket packages to add the Firestone Legends Day concert or NASCAR racing events, including the Big Machine Vodka 400 at the Brickyard Powered by Florida Georgia Line, to their FGL Fest experience. These packages also are on sale now at IMS.com. Other performers at FGL Fest, the day before the Big Machine Vodka 400 at the Brickyard Powered by Florida Georgia Line, include Dan + Shay, Nelly and Mitchell Tenpenny. Zac Brown Band is headlining the Firestone Legends Day concert Saturday, May 25, the day before the 103rd Indianapolis 500. Additional acts for both shows will be announced soon. General admission for FGL Fest is $39. The Concert Pit, which provides the closest access to the stage, is $99. VIP tickets, which include access to the Concert Pit and a special VIP tent/lounge area, are $120 each. All prices exclude mandatory parking, service and delivery fees. Individual FGL Fest tickets at any level do not include admission for track activity Saturday, Sept. 7 at IMS. Fans interested in watching NASCAR action on track must buy a general admission or reserved seat ticket for Saturday or purchase one of the new packages that includes gate admission or a reserved seat. Visit IMS.com for additional details and for tickets to the 103rd Indianapolis 500 and Big Machine Vodka 400 at the Brickyard Powered by Florida Georgia Line.